For more than 4 decades, Dan Dotson has lived his life as an auctioneer, businessman and television presenter courtesy of his being on the A&E reality TV series Storage Wars. He learned the trade from his grandfather Sam Fancher who in his own time was a cattle and farm auctioneer in the Ozark Mountains region of northwest Arkansas. Since selling his first item; a piece of furniture in a Chino auction in California in 1978, Dan has grown tremendously successful as an auctioneer. It is for that reason that we will be taking a closer look at his background, net worth and what has become of him in recent times. November 23, 1962, is recorded in history as the day Dan (Danny) Dotson was born in California. He is believed to have also been raised there where he was close to his grandfather – Sam Fancher. While Sam lived, he was a respected man in his local community where he worked as a farm and cattle auctioneer. Dan will often tag along with him sometimes when he went about his auctioneering business. As he did this consistently, his old man took it upon himself to begin giving him in-depth training about auctioning during his summer breaks. This practice continued in the next 4 summers that followed. Looking back at it, Danny will certainly be grateful to his grandfather for guiding his passion properly. At age 16, Dan Dotson who at that time was already proficient at closing sales had already made up his mind on becoming an auctioneer. He began skipping classes to attend Chino auction in California where he worked for a furniture auctioneer named Meri Bernard. In the next few years that followed, he kept on doing what he knew how to do best in preparation for his next big move. That big move happened in the year 1983 when he started American Auctioneers – an auction house in Riverside that collected dolls, pieces of furniture, pottery and porcelain materials. With his wealth of experience in the business havin begun learning as a child, Dan Dotson was able to grow his auction house from specializing in collectibles to focus on higher revenue fetching auctions of estates, pieces of equipment, storage units, business inventories, legal/foreclosure auctions, etc. With this came the tremendous expansion of his business which of course put more money in his pocket. However, Dotson is not someone who will at that point rest on his oars. He diversified his business by having an online presence on StorageAuctions.net where he provides self-storage auction listings that cover the entirety of U.S and Canada. To add to this, he began making an appearances with his wife Laura Dotson on A&E’s Storage Wars beginning in 2010. His appearance on this reality show that features 4 professional buyers and their teams have earned Danny a lot of media attention which he has managed well. The high points of Dan’s life until the current time cannot be rounded off without mentioning the woman who has been with him from his early days in business. The Storage Wars star met his wife in the year 1996 when she came to make a bid at one of his auctions. The two quickly took a fancy for each other with Laura reportedly saying to herself that she will marry Dan Dotson someday. From being friends, she became his business partner before rising to the position of co-owner and manager of American Auctioneers. The two are married now and are parents to 3 children. Their kids are however living a life shut out against the media. The reality television star is no doubt the best at what he does. Possibly, Dan Dotson has no substitute in the way he goes about his auctioneering business. As a result of this, he has been well rewarded in his career. He reportedly has a net worth of $4.5 million. 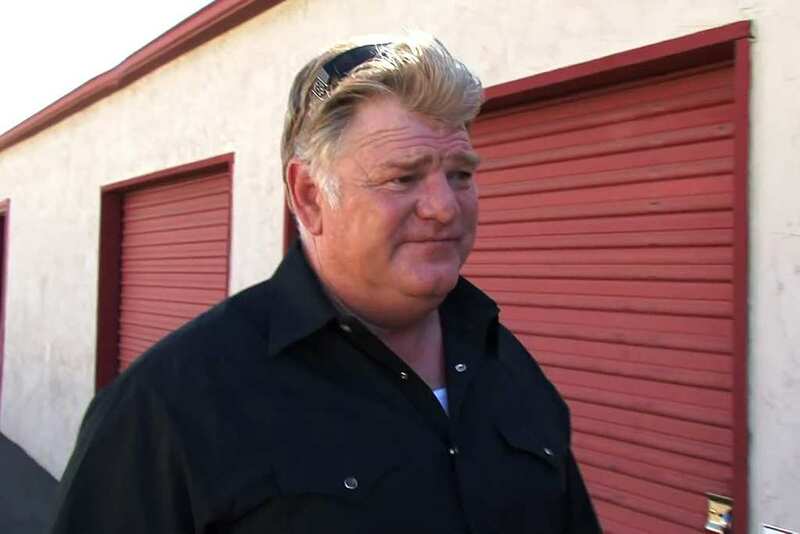 What Happened To The Storage Wars Star? Dan Dotson and Laura Dotson are very much still part of the American Auctioneers television series. However, in times past, Dan had to give priority to his health. He suffered from a double aneurysm in June 2014. When he woke up at dawn that fateful day he collapsed but was later revived by his wife Laura who was guided on how to administer CPR on him by a 911 agent. Dan thereafter had an operation and has since then been strong.